I'll be the first to admit that online and electronic planners are useful. Online planners can be checked anytime, anywhere through your phone or laptop. However, I just can't seem to get over my pink paper planner. Writing tasks and important events down helps me remember them better. I know, the point of a planner is to remind you of these tasks and events, but I forget to check my planner sometimes if I don't remember there's something I should be doing. There's something more satisfying about crossing things off on paper. Checking off a box on Google Calendar cannot compare to crossing off something from your to do list in pen. I can customize and decorate. I love the fact that I can highlight important tasks, decorate the pages with colorful pens, and doodle when I'm bored in class. What do you prefer? 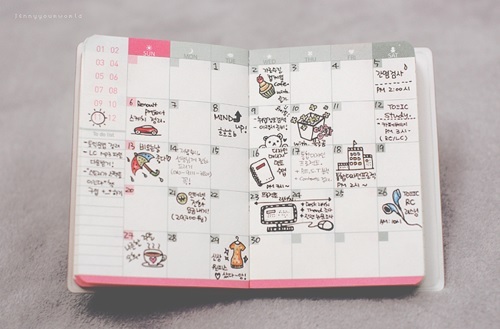 Do you think a planner is necessary? Though, I LOVE Google Calendar, I also have a paper planner... always.